Develop numeric phosphorus criteria for each of the eight states that have yet to adopt them, and numeric nitrogen criteria for all 10 states. 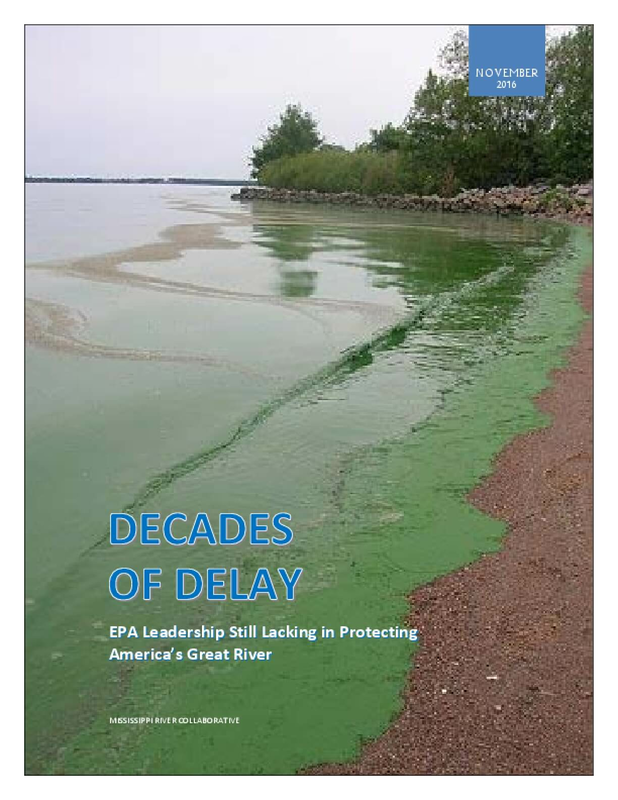 Require states to assess their waters for nitrogen and phosphorus pollution and to prioritize TMDL development and implementation planning accordingly. Increase oversight of the state NPDES programs to ensure that both narrative and numeric nutrient criteria are implemented through limits in permits, including the use of Water Quality Based Effluent Limits (WQBELs) where appropriate. Ensure that states' Nutrient Reduction Strategies contain implementation plans detailing point and nonpoint source reductions needed, responsible parties, funding mechanisms, milestones, measurement metrics, and reasonable timelines. Require states under Section 319 of the Clean Water Act to identify programs and practices for controlling nonpoint sources of pollution to the maximum extent possible. Copyright 2016 by Mississippi River Collaborative. All rights reserved.